· Do I Need to File a Probate? · What Are My Probate Options? · Other Probate "How To's"
Mark J. Morrise, the author of Utah Probate Solutions, is a shareholder with the Salt Lake City, Utah law firm of The McCullough Group. His law practice includes probate, wills, trusts, and estates. To see Mr. Morrise's resume, click here. To make an appointment for a consultation with Mr. Morrise, call 801.530.7359. 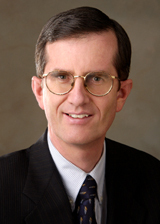 A 1982 graduate of the J. Reuben Clark Law School, Mr. Morrise is a past chair of the Estate Planning Section of the Utah State Bar, is a Fellow of the American College of Trust and Estate Counsel, and is an active member of the Salt Lake Estate Planning Council. He frequently speaks to professional groups on trust-and-estate related topics. For more information, call us at 801.530.7359. Sometimes a probate needs to be filed quickly. For example, titling problems with jointly owned real estate can delay a loan closing until a probate is filed and the interest of a deceased joint owner is extinguished. If you need a probate filed quickly, we can help. We will prepare the necessary probate opening documents and file them within one business day of your first meeting with us. If a "fast track" proceeding is available to you, the personal representative will be appointed the same day that the opening documents are filed. If you would like to learn more about our expedited filing service, call us at 801.530.7359. 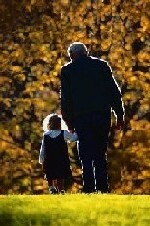 Utah Probate Solutions offers experience, speed, efficiency, reliability and competitive rates. Mark J. Morrise, the author of Utah Probate Systems, has over 20 years experience in assisting individuals and families with their probate needs. Upon request, we will provide you with a written “Preliminary Probate Analysis,” which explains whether probate is necessary and available, who is eligible to serve as personal representative, whether “renunciations” from other persons eligible to serve as personal representative are necessary, and whether a “fast track” probate proceeding is available to you. The charge for this written analysis as a standalone service is $149. If, however, you hire Mr. Morrise to assist you in filing a probate, there is no charge for this service. You can make an appointment for a consultation with Mr. Morrise by calling 801.530.7359. Before doing so, please fill out a Probate Questionnaire and send it to Mr. Morrise by either fax (801.364.9127) or email (markm@tmglaw.com). In general, probate is the legal process for making sure that the property of a deceased person (the decedent) is collected and preserved; the decedent's debts and taxes are paid; and the remaining property is distributed to the beneficiaries designated in the decedent's last will or, if the decedent died without a valid will, to the decedent's lawful heirs. The person who does this is called the personal representative, sometimes known as the executor or administrator. Initially, the necessary probate opening documents are prepared (usually by a Utah probate lawyer retained by the decedent's survivors) and are filed with the probate court. The court appoints the personal representative, who ordinarily administers the estate without court supervision. If the decedent had a last will, the court determines if the will is valid. When the estate has been fully administered, the necessary probate closing documents are filed with the probate court, a final distribution is made to the heirs or beneficiaries, and the court discharges the personal representative from further responsibility. What property can be transferred without a probate? When else should probate be considered? I've been told I need "letters testamentary." What does that mean? If the decedent owned assets (such as a home or other real property, bank accounts, or investments) titled solely in his or her name and without a valid beneficiary designation, probate is necessary to sell these assets or distribute them to the beneficiaries or heirs. With the decedent gone, only a personal representative has authority to sign the deed or other document transferring title to these assets. The one exception is when the estate is under $100,000, and therefore a small estate affidavit can be used to collect the decedent's assets. Any of the decedent's untitled property, such as personal and household possessions, valuables, or money, can be transferred without a probate. Doing so, however, may subject such property to the claims of the decedent's creditors. The decedent left unpaid debts, and you want to cut off potential claims of the decedent's creditors. There is a dispute over who is entitled to the decedent's property. The decedent had a last will, which you want to be able to enforce in court. A will that is not probated is not legally enforceable. The person dealing with the decedent's property wants to be discharged from liability to the heirs and beneficiaries after the property is distributed. Letters testamentary is a one-page document issued by the court stating that the personal representative has been duly appointed. If someone tells you they will not release an asset of the decedent without letters testamentary, it means they want to deal only with a personal representative. Small Estate Affidavit. You may be able to avoid filing a probate by signing a small estate affidavit, which can be used to collect a decedent's Utah property, except real estate, if the net value of the decedent's property subject to probate does not exceed $100,000. A small estate affidavit is not legally available, however, until 30 days after the decedent's death. Informal probate, which is generally appropriate for simple, uncontested estates and usually costs less than a formal probate because no attorney travel or in-court time is required. In some circumstances, the decedent's relatives may be required to sign written consents to this process. Formal probate, which is appropriate for estates in which the right of the person seeking appointment as personal representative is contested or in which some other dispute may arise. Formal probate requires an in-court hearing, which the attorney (but not the client) is required to attend. Order determining heirs, which is appropriate when (a) the decedent's Utah real estate or other property located in Utah needs to be sold and (b) more than three years have passed since the decedent's death. Ancillary probate for out-of-state decedents. This option can be used when (a) the decedent resided outside Utah at the time of death, (b) a probate has been filed there, and (c) the decedent owned Utah real estate or other property that needs to be sold. How soon must a probate be filed? What are the steps in a probate? When is Utah the right state in which to file a probate? Where is a Utah probate filed? What are the filing requirements for a Utah probate? Who does the court appoint as personal representative? How do I forward a deceased person's mail? What are the rights of heirs and beneficiaries? What are the rights of creditors? A Utah probate must be filed within three years of the decedent's death. However, you may want to file sooner that this, especially if family members express a desire to proceed quickly. The steps in a probate are (1) the opening, (2) the notice to creditors and estate administration, and (3) the closing. Opening. A probate is commenced or opened by filing documents with the probate court necessary to have a personal representative appointed and, if the decedent had a will, to have the will validated. If the opening is formal, a court hearing is required; if it is informal, no court hearing is required. Notice to creditors and estate administration. After the probate is opened, the personal representative publishes a notice in the newspaper that creditors must present their claims within three months or be barred. The personal representative does whatever else is necessary to administer the estate, including protecting and managing the estate property. Closing. When the notice to creditors period has run, creditors' claims have been paid, and the estate has been fully administered, the personal representative can close the estate by filing the necessary documents with the probate court and by distributing the estate property to the appropriate heirs or beneficiaries. Like the opening, the closing can be formal or informal; again, a formal closing requires a court hearing, and an informal closing does not. Generally speaking, a formal opening or closing results in a court order that cannot be challenged later. In contrast, an informal opening or closing usually costs less (because no court hearing is required) but can later be challenged in a formal proceeding. Most Utah probates (over 70%) are opened informally. To view the forms necessary for an informal probate, click here. The personal representative chooses the type of opening and closing. It's a good idea to get assistance from a Utah probate attorney in making this choice. A probate should be filed in Utah if the decedent was a Utah resident at the time of death. A probate may also need to be filed in Utah and in the state of the decedent's residence if the decedent was not a Utah resident but owned property in Utah. General Requirements. In Utah, a probate is filed or opened by presenting the necessary opening documents and paying a $360.00 filing fee to the appropriate district court. As mentioned above, the probate can be opened either informally (no court hearing is required) or formally (a court hearing is required). Required Documents. The opening documents include an Application (if the opening is informal) or a Petition (if the opening is formal) requesting that the probate court appoint a personal representative and, if the decedent had a last will, that the court validate the will (which is attached to the Application or Petition). Other required documents include a Renunciation by any person with an equal right to serve as personal repesentative; a Statement (if the probate is informal) or an Order (if the probate is formal) by the court appointing the personal representative and validating the will; an Acceptance of the appointment by the personal representative; and Letters issued by the court stating that the personal representative has been duly appointed. An optional document that can speed up the opening is a Waiver of Notice by the decedent's surviving family members and will beneficiaries. If the decedent had a last will, the court appoints the person chosen by the decedent in the will. If the decedent's first choice for personal representative will not or cannot accept an appointment, then the court appoints the decedent's second choice, and so on. If all persons chosen in the will fail to accept an appointment as personal representative, or if the decedent died without a valid will, then the court appoints one of the following persons, in descending priority: (1) the decedent's spouse, provided he or she is a beneficiary under the decedent's will, (2) another will beneficiary, (3) the decedent's surviving spouse, whether or not a beneficiary, (4) other heirs, and (5) creditors of the decedent's estate. For more information on the personal representative's duties, see our List of Selected Duties and Powers of a Personal Representative Appointed in Utah. The United States Postal Service website advises that to forward a deceased person’s mail to a different address, visit your local Post Office™. There you will turn in a completed change of address form and show a document showing authorization to manage the deceased person’s mail. The USPS also advises that to reduce the amount of mail addressed to the deceased person, you can add their name to the Direct Marketing Association’s Deceased Do Not Contact list. Once a name is on the list, the amount of advertising mail addressed to it should slow down within three months. A surviving spouse may elect against the last will and claim a statutory share (about one-third) of the decedent's estate. The law also provides for allowances and exemptions which, in certain situations, may be of benefit to the surviving spouse, children, or both. The personal representative publishes an Announcement of Appointment and Notice to Creditors three times in the newspaper. From the date of the first publication, the decedent's creditors have three months in which to file a Claim against the Estate. The personal representative decides which claims are valid, pays them, and sends a Notice of Disallowance of Claim to creditors with claims that are determined to be invalid. Creditors with claims that are determined to be invalid can contest the personal representative's decision by filing a petition for allowance of claims. For the district court telephone numbers in other counties, look in the Utah State Courts' directory of Utah district courts. To find a district court using a state-wide county map, look at the Utah State Courts' Judicial District Locator Map. If you are from out-of-state and don't know which county the decedent resided in, you can match the decedent's city to its county by using our County Finder. Small Estate Affidavit. A small estate affidavit can be used to collect a Utah decedent's property, except real estate, if the combined value of all the decedent's property (excluding property that passes outside of probate), less liens and encumbrances, does not exceed $100,000. Property that can be collected with a small estate affidavit includes unpaid wages, checking and savings accounts, cars, boats, certificates of deposit, and stocks and bonds. Set up a revocable trust and transfer all your titled assets to it. Any titled assets not transferred to the trust, however, will be subject to probate on your death. Place property in joint ownership. This does not avoid a probate, however, on the death the final joint owner. A lump-sum death benefit of $255 may be paid upon the death of a person who worked long enough to be insured under the Social Security program. This benefit is limited to a spouse who was living with the worker at the time of death, to a spouse who, in the month of death, is eligible for certain Social Security benefits based on the worker's record, or to a child who, in the month of death, is eligible for a Social Security benefit based on the worker's record. If no spouse or child meeting these requirements exists, then the lump sum death payment will not be paid. To file for the benefit, call 1-800-772-1213 and request an appointment at your local Social Security office. You can transfer the decedent's personal and household possessions, valuables, or money without a probate. Doing so, however, may subject such property to the claims of the decedent's creditors. It could also expose you to liability to the decedent's heirs and beneficiaries if the property is not properly distributed. If the decedent owned a home or other real property in Utah, the property cannot be sold or transferred until the decedent's survivors establish their legal rights in the property. The way to do this depends on how the decedent owned the property (as shown on the deed giving the decedent his or her ownership interest). Joint Tenant with Rights of Survivorship. If the decedent owned the property as a joint tenant with rights of survivorship, the surviving joint owner(s) can terminate the decedent's interest in the property by filing an Affidavit of Surviving Joint Tenant(s) in the county where the property is located. For married couples, this type of ownership is presumed for real property acquired after May 5, 1997 if the deed identifies the owners as husband and wife. Trustee of a Trust. If the decedent owned the property as the trustee or co-trustee of a trust (such as the decedent's living trust), the successor trustee(s) can establish their authority over the property by filing an Affidavit of Successor Trustee(s) in the county where the property is located. File a probate. A personal representative appointed in a probate has authority to transfer the decedent's interest in real property by signing a Personal Representative's Deed. In Utah, the deadline to file a probate is three years after the decedent's death. Petition for a determination of heirs. After the three-year deadline to file a probate has passed, the decedent's heirs can petition the probate court for an Order Determining Heirs, which then is filed in the county where the property is located. File an Affidavit of Heirship and Identity. In some Utah counties, including Salt Lake County, the county recorder will accept an Affidavit of Heirship and Identity to establish that title to the decedent's real property in that county has passed to the decedent's heirs. A disadvantage of this approach is that title insurance on the property may be difficult to obtain because some title insurance companies do not recognize the validity of this type of affidavit. If the decedent owned a checking, savings, investment, or other account at a bank, credit union, or brokerage firm, the right of the decedent's survivors to access the account depends on who owned the account and, in some cases, why the ownership was set up in that fashion. P.O.D. Account. "P.O.D." stands for pay on death. The P.O.D. beneficiaries can access this account by presenting a death certificate. TOD Account. "TOD" stands for transfer on death. An investment account or a stock certificate naming a TOD beneficiary is, in general, equivalent to a P.O.D. account. Trust Account. This is an account in the name of a trustee for one or more beneficiaries, where the trust relationship is established by the form of the account and the deposit agreement, and the only assets held in trust are the sums on deposit. For this type of account, if the trustee dies, the beneficiaries can access the account by presenting a death certificate. Joint Account. For joint accounts, the surviving account owner ordinarily has unrestricted access to the account, unless the decedent made it clear when the account was opened that the decedent did not intend the other account owner to inherit the account upon the decedent's death. For example, if a parent adds a child as a joint owner of a checking account, but makes it clear that the parent intends for the account to be distributed to the parent's heirs at death and that the child was added only to help pay the parent's bills if the parent is unable, then when the parent dies the account should be administered as part of the parent's estate. Other Accounts. If the decedent owned the account as the trustee of a trust set forth in a separate trust agreement, the successor trustee can access the account. If the decedent was the custodian of an account established under the Uniform Transfers to Minors Act, the minor may designate as successor custodian for the account. Free legal assistance may be obtained at the Tuesday Night Bar, a legal clinic that is held the first four Tuesdays of every month from 5:30 to 7:00 p.m. by appointment only. Walk-ins are not accepted for this program. Appointments are made Mondays beginning at 1:00 p.m., one week before the date of the clinic, until the next week's clinic is full. The area of law in which the volunteer attorneys practice in this program ranges every week. The Tuesday Night Bar is held at the Utah Law and Justice Center, 645 South 200 East,Salt Lake City, Utah. In addition, persons who qualify may obtain assistance from Utah Legal Services. Finally, assistance may be available through one of the other pro bono programs sponsored or coordinated by the Utah State Bar. In Utah, probate forms must be obtained from the Utah State Bar (645 South 200 East, Salt Lake City, Utah, telephone number 801.531.9077), which sells a packet of over 90 probate and probate-related paper forms for $30. These forms, which were last updated in 1989, are fill-in-the-blank but do not come with instructions for their use. For a list of these forms, click here. Before using the following form, read this DISCLAIMER. Appointment of Guardians - This form can be used by a parent of an unemancipated minor child to appoint a guardian for that child. The alternative to using this form would be for the parent to appoint a guardian in his or her last will. Copyright (c) 1999, 2016 by Mark J. Morrise; All rights reserved.